US: Boston bombing suspect Dzhokhar Tsarnaev has told investigators his brother was the leader in last week’s deadly attacks, and that no international terrorist groups were behind them, CNN reported. 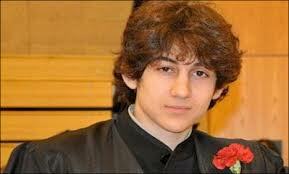 The network cited an unnamed US government source as saying that “preliminary interviews with Tsarnaev indicate the two brothers fit the classification of self-radicalized jihadists.” “Dzhokhar Tsarnaev, wounded and held in a Boston hospital, has said his brother (Tamerlan, 26) -- who was killed early Friday -- wanted to defend Islam from attack,” CNN quoted the source as saying. But the surviving suspect indicated that international groups were not part of the brothers’ acts, the report said. The younger Tsarnaev, 19, could face the death penalty after being charged Monday for his alleged role in the attacks that left three people dead and 200 wounded. Dzhokar Tsarnaev was arraigned in his hospital bed on charges of using and conspiring to use a weapon of mass destruction, and malicious destruction of property by means of deadly explosives, the US Department of Justice said. I hope you will write more such posts.